When your timing belt starts to go it can mean big problems for your engine. Don’t let a small issue escalate into a huge repair by waiting to speak to a mechanic. At Glenn’s Auto Repair, we focus on preventative maintenance so that a quick fix doesn’t become a drain on your pocket book. The timing belt is a critical part of your engine, which works to maintain engine valve timing by synchronizing the pistons and camshaft. Not all engines use the same type of timing belt, as some engines have timing gears instead. The belt resembles a thick rubber band, with grooves that align with the crankshaft to allow the camshaft to turn. When your timing belt doesn’t work properly, your engine has a difficult time functioning. Sometimes these belts slide off or tear, which causes the engine to halt and can damage it irreparably. It is important to keep your timing belts in good working order to maintain engine health and the overall health of your vehicle. If you suspect an issue with your timing belt, it’s important to bring it to a professional before further damage occurs. While the timing belt is of huge importance to the working order of your vehicle, the replacement of it isn’t quite the massive undertaking you might think. A well-trained mechanic can have the belt replaced in a single day and back in working order in no time. For some, the thought of a repair on something so small seems minor, and it may get put off over time. Unfortunately, the damage caused by a broken timing belt can be very costly, and much more difficult to repair in the long run. If you haven’t ever had your timing belt looked at, it’s a good idea to schedule a tune-up or timing belt appointment, and have a mechanic inspect the various elements of your engine to make sure nothing is on its way out. It’s always best to be proactive when replacing or repairing engine parts, as the longer they are left working improperly, the more damage they are likely to cause. Over time the timing belt is subject to wear and tear initiated by corrosive engine fluids, high temperatures of 500 degrees or more, and other working components, such as metal and plastic, which may rub against it. The timing belt could wear down faster if you use your vehicle to drive in rough and dusty terrain, or drive more frequently than most and have a high mileage on the odometer. The belt can also wear faster if there are other issues in your engine which need to be looked at, and are causing parts of the engine to work slower or faster than they should. The rubber material of the timing belt can tear, warp, and become damaged over time, making it unusable. 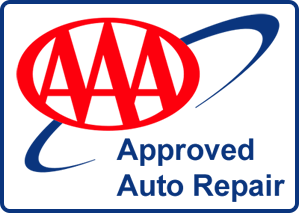 It should be replaced every 80,000 miles to 100,000 miles by a professional licensed technician. The timing belt keeps your pistons and valves from colliding, which can cause critical damage to the engine. They do so, by keeping a timed momentum and synchronizing of the opening and closing of valves at exactly the right moment for your engine to intake and let out exhaust. If the timing belt snaps in an interference engine, the pistons will smash into each other, rather than alternating turns as they work. This can cause cylinder head damage, piston damage, and camshaft damage. In most cases, the engine will stop working when the belt snaps and your vehicle will stall. Not every engine is designed exactly the same, but on most vehicles, this is why the timing belt is so important to the functionality of your vehicle. A new timing belt can make all the difference to the feel and sound of your engine. If it was beginning to show damage, then making the change to a new timing belt will be noticed right away. At Glenn’s Auto Repair, all our mechanics are licensed and experienced with timing belts. We guarantee affordable prices and high-quality workmanship every time. If you’re concerned that your timing belt is faulty, contact us today. A professional member of our team would be happy to talk you through the process and schedule a convenient time to have the belt examined, and if necessary, replaced.